2018 is the year the world comes together to celebrate the centennial of Jerome Robbins (1918–1998). The Jerome Robbins Centennial is a global celebration of the 100th birthday of Jerome Robbins, the director and choreographer whose creative genius during the 20th century continues today. Having created film, theater and dance that has resonated for generations, Robbins is rightfully regarded as a towering figure in American cultural history. Jerome Robbins’ legacy from the last century is assured and his influence is ongoing. During 2018, the Jerome Robbins Centennial will celebrate the life and career of the cultural giant with performances, screenings, events, exhibitions and discussions around the world. On this page you will find links to help you discover these celebrations of Robbins’ artistic accomplishments throughout the year, in addition to news of Robbins Centennial events as they take place. 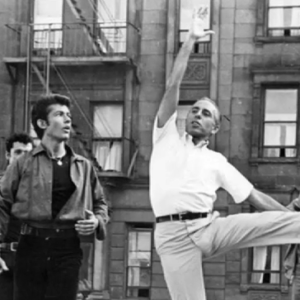 The Jerome Robbins Centennial Timeline is a year-to-year look at the significant events, experiences and passages in Jerome Robbins’ life and story. As it evolves, the Timeline will detail each major event in Jerome Robbins’ life, along with related historical incidents. Arranged in chronological order, it provides a sequence of the important events that have taken place in the century since his birth. Laying out in linear fashion facts sometimes thought of as "insignificant" in other contexts, enables a correlation of the information in a more meaningful manner. Come back often and enjoy this evolving glance at the happenings, performances, and occasions that took place during, and helped create, what was undoubtedly a golden age for theater and dance in America. Jerome Robbins is world renowned for his work as a choreographer of ballets as well as his work as a director and choreographer in theater, movies and television. His Broadway shows include On the Town, Billion Dollar Baby, High Button Shoes, West Side Story, The King and I, Gypsy, Peter Pan, Miss Liberty, Call Me Madam, and Fiddler on the Roof. His last Broadway production in 1989, Jerome Robbins' Broadway, won six Tony Awards including best musical and best director. Among the more than 60 ballets he created are Fancy Free, Afternoon of a Faun, The Concert, Dances At a Gathering, In the Night, In G Major, Other Dances, Glass Pieces and Ives, Songs, which are in the repertories of New York City Ballet and other major dance companies throughout the world. His last ballets include A Suite of Dances created for Mikhail Baryshnikov (1994), 2 & 3 Part Inventions (1994), West Side Story Suite (1995) and Brandenburg (1996). In addition to two Academy Awards for the film West Side Story, Mr. Robbins has received four Tony Awards, five Donaldson Awards, an Emmy Award, the Screen Directors' Guild Award, and the New York Drama Critics Circle Award. Mr. Robbins was a 1981 Kennedy Center Honors Recipient and was awarded the French Chevalier dans l'Ordre National de la Legion d'Honneur. Mr. Robbins died in 1998. JEROME ROBBINS is a 20-24 page newsletter that includes articles, interviews, photographs, and other information to readers interested in theater, dance and the arts. The newsletter’s pages will explore the artistic output of legendary director and choreographer Jerome Robbins, as well as maintain listings of upcoming performances of such ballets and musicals worldwide. A slideshow of the Robbins Terrace, set to music by Hal Willner. In a life that inspired controversy, no one disputes the place that Jerome Robbins holds as the preeminent director/choreographer of American musical theatre. He transformed Broadway with shows like West Side Story, Gypsy and Fiddler on the Roof and he forged a career in ballet, first at American Ballet Theatre, then at New York City Ballet. Jerome Robbins established the Foundation in 1958, in honor of his mother, with the intent to support dance, theater, and their associative arts. In the 1980's, following the outbreak of AIDS, he directed Foundation resources almost exclusively to the AIDS crisis and still later, in letters left to the board, he conveyed his wish that the Foundation once again extend its resources to the performing arts - dance and theater especially. Please note that the Foundation is not currently accepting any proposals. Proposals will be reviewed on an invitation-only basis. Past grantees should check back in a few weeks for further instructions. the organization's latest audited financial statement or tax return, submitted as a separate and second pdf file. Please submit any and all questions via e-mail to proposals@jeromerobbins.org. The Robbins Rights Trust was established to license and protect the artistic works of Jerome Robbins. 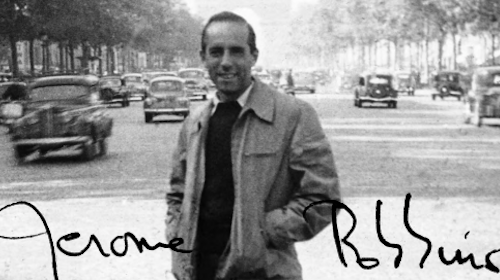 The Robbins Rights Trust was established in 1999 to license, foster and promote the artistic work of Jerome Robbins. Through the artistic guidance of an Advisory Committee established by Mr. Robbins, approved ballet companies may engage repetiteurs to restage Mr. Robbins' ballets. The Trust also oversees the licensing of Mr. Robbins' work for the theatrical stage. Companies who wish to license ballets by Jerome Robbins should submit requests in writing by mail or e-mail. Please indicate the ballet(s) in which you are interested, when you would like to rehearse and perform them, and how long a license you are seeking. Information on your company -- such as number of dancers, size of theater, whether performances are to tape or orchestra should also be included. If the Committee is not familiar with your company, we may ask that you send a videotape or arrange for a member of the Committee to see your company. If you are not certain which ballet to request, the Committee can make recommendations based on the size and make-up of the company. Ballet schools, conservatories, and other educational institutions interested in utilizing excerpts of Jerome Robbins' ballets or using a ballet as a teaching tool must also obtain permission from the Trust. While the Trust does not license ballets to educational institutions for performance to the general public, we will consider class use, workshops and similar situations.